Prime Minister Narendra Modi today arrived in New Delhi after his China and Myanmar visit. During his visit, he attended the BRICS Summit in Xiamen. 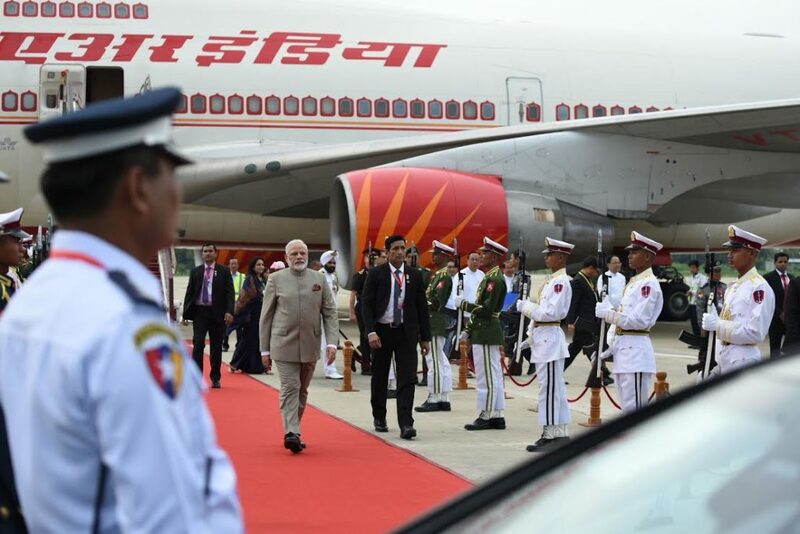 PM Narendra Modi arrived in Myanmar’s capital Naypyidaw on Wednesday. He met Myanmar President Htin Kyaw. Officials reported that the two discussed the issue of rising violence in western Myanmar. Keeping his promise of ‘Act East’ policy, it was PM Modi’s first bilateral visit to Myanmar where he cemented ties, especially with China strengthening its influence on the country. PM Modi met Myanmar leader Aung San Suu Kyi and visited the heritage city of Bagan and a Hindu temple. He also spoke about a trilateral highway project connecting India’s northeast with Myanmar and Thailand. On 5 September 2017 at 16:37, PM Modi Arrives In Myanmar’s capital Naypyitaw to look at strengthening existing cooperation in areas of security and counter-terrorism, trade and investment, infrastructure and energy, and culture. 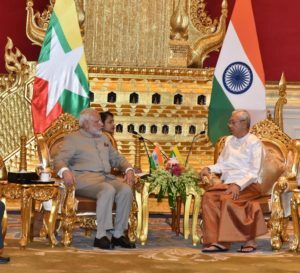 At 17:45, Prime Minister Narendra Modi met with Myanmar President Htin Kyaw in Naypyidaw. The two discussed the issue of rising violence in Myanmar’s western state of Rakhine. Officials said PM Modi will also discuss trade and economic cooperation with Myanmar’s head of state. 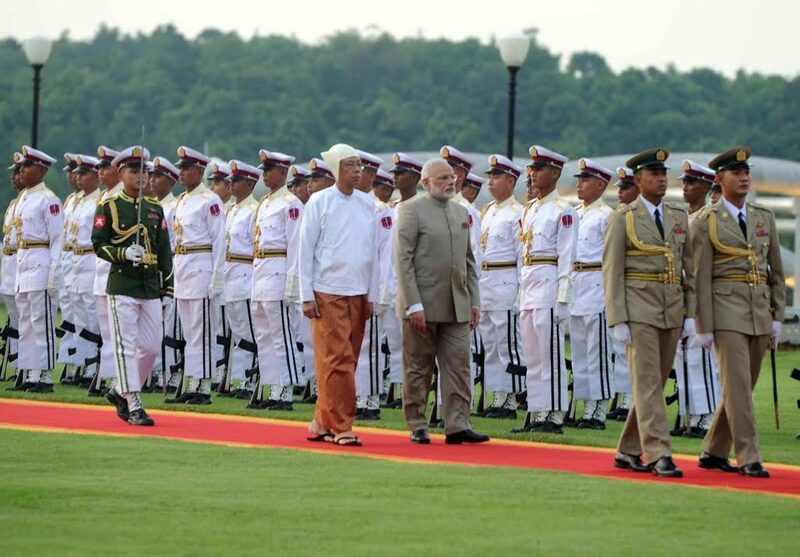 At 18:04, Prime Minister Narendra Modi was welcomed by Myanmar President Htin Kyaw both inspect the guard of honour in Naypyidaw. Both leaders discussed a range of issues, from bilateral ties to trade. 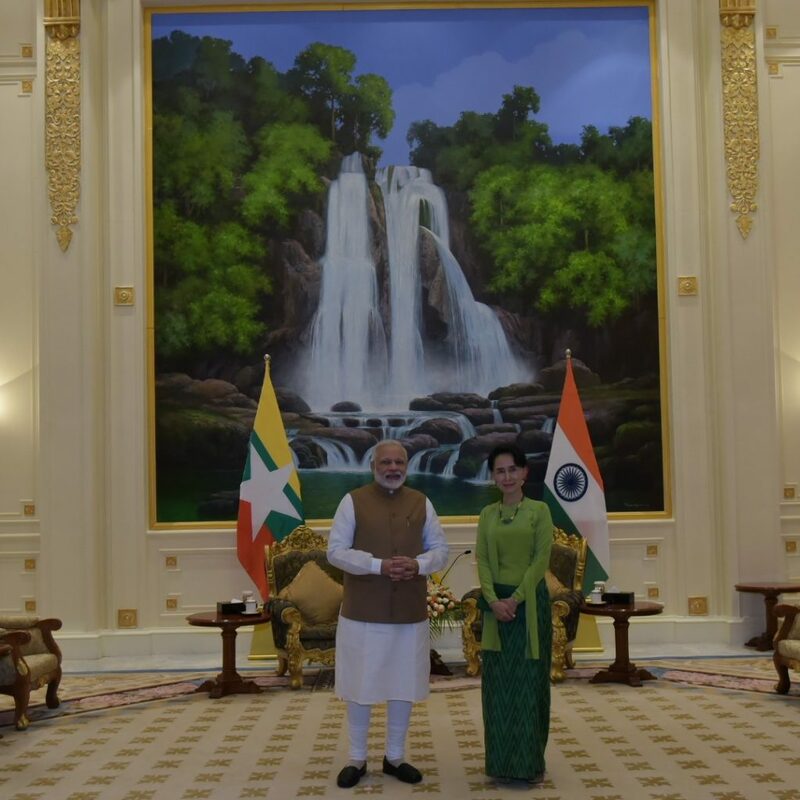 Prime Minister Narendra Modi met Myanmar’s state counsellor Aung San Suu Kyi, and held discussions on wide-ranging topics, including the violence in the Rakhine state and the on Act East policy. 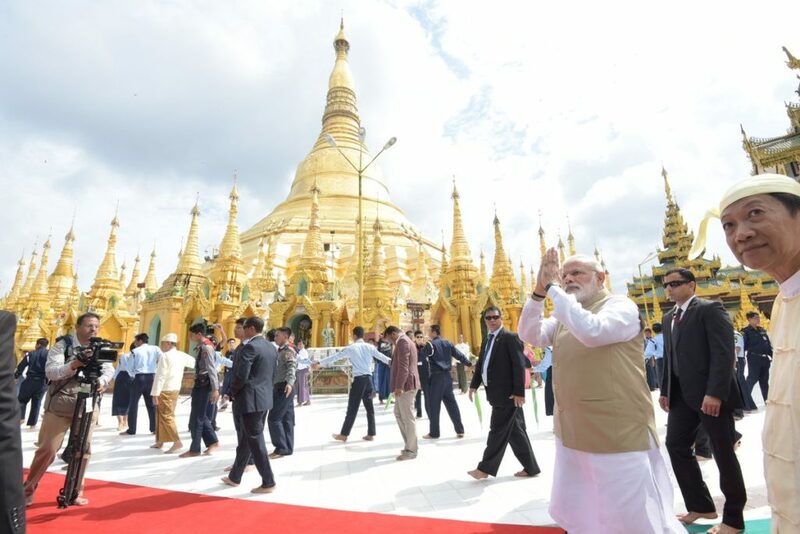 On 7 September 2017, PM Narendra Modi visited 2500 yrs old Shwedagon Pagoda, considered to be the pinnacle of Myanmar’s cultural heritage. 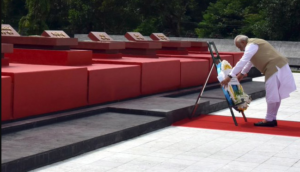 PM Modi paid homage to the Martyrs at Martyrs’ Mausoleum in Yangon, Myanmar. I thank the people and Government of Myanmar for their exceptional hospitality during my visit to the beautiful nation of Myanmar.